A SUCCESS: “La Garra de La Villita [Garage Sale] held Saturday, July 14, 2011 on 26th St. & Central Park Ave. in Little Village was a huge success. This first annual event sponsored by the Little Village Community Council was colorful, exciting and festive. Not even scattered showers damped vendors or the public’s spirit of doing business. MORE THAN 33 vendors displayed their merchandise while 500 attendees looked for deals as they strolled down Central Park Ave. “Dickering” was the word of the day. Everybody wanted a bargain. There were lots of clothes, shoes, tools, DVD’s, videos, cosmetics, household goods, kitchen utensils, Tupperware, pictures, children toys, refreshments, candy, ice cream, burritos and tacos. Children at “La Garra” enjoyed playing in a Castle jumping jack or having their picture taken while riding a pony. OUTSTANDING CADET: On May 9, 2012, at the annual “Cadet Salute” assembly the Dr. Hector P. Garcia AMVETS Post 326 presented a laptop computer to Major Jessica Tavera. Major Tavera was recognized for her excellence as the most outstanding cadet in the Farragut Career Academy’s JROTC program. POST 326 also presented AMVET achievement medals to eight deserving cadets. FARRAGUT’S JROTC Director LTC., Ned Matich, was presented with a plaque for his many years of dedication to the JROTC program and service to veterans. Matich retired this past June after sixteen years of service at Farragut. SCM CANDIDATES: Sociedad Civics Mexicans de Illinois, Inc. held a media presentation introducing its 12 candidates vying for this year’s crown to be Queen of SCM. The presentation was held Tuesday, July 17, 2012 at the Sea Wolf Restaurant located at 5503 W. Cermak Ave. in Cicero, IL. For the past forty years SCM has elected a Queen to represent the Mexican community. THE ELECTION of the Queen will be held at the Hilton Hotel in downtown Chicago on Saturday, August 11, 2012. SCM officers are President Vincent Rangel, Vice-President Carlos Montoya, Secretary Sara Munoz Abramowicz, Treasurer Edwardo Rodriguez. For more information contact Mrs. Evelia Rodriguez, SCM Board member, at 773/617-1192. Thursday, July 19th—2nd Annual Birthday Golf Outing for State Rep. Elizabeth “Lisa” Hernandez [24th Dist.] Gleneagles Golf Course, 13017 McCarthy Road, Lemont, IL For info call Lilly Kinney at 708/417-5680. Saturday, July 21st—Summer Night of Soccer, 7:30 p.m. Toyota Park, Bridgeview, IL. Chicago Fire vs. Aston Villa. Tickets are available for $10 each. Call 708/594-2113. Thursday, July 26th—“No Mas Hambre” forum to address Hunger Among Latinos at National Museum of Mexican Art, 1852 W. 19th St., Chicago from 6 to 8 p.m. Refreshments & appetizers. Valet parking will be provided. For more info call 312/282-7774. Saturday, July 28th—Tequila & Mezcal Fest, 12:00 p.m. to 7:00 p.m. at Logan Square Auditorium, 2539 N. Kedzie Ave. Entrada Gratis. $10 pasaporte para probar tequila y mezcal. For info: 312/276-0631. Sat., July 14th--Garage Sale "La Garra de La Villita, 8 a.m. to 5 p.m. 26th St. & Central Park Ave. to 25th St. & Central Park Ave. Open to the public. Free [Gartis] admission. NEW LEADERSHIP: Commander Maria Pena has been in charge of the 10th District Police Station, 3315 W. Ogden Ave. since March 5, 2011. Born and raised in Chicago, with 25 years experience as an officer, Commander Pena is familiar with the city and the needs of her district. “MY TOP PRIORITY is gang violence. We are working with the clergy, with Basketball groups not affiliated with gangs, and several similar organizations willing to help solve the gang problem,” said Commander Pena. She expressed the importance of police engaging with the community to make a difference and as part of the solution to gang violence. COMMANDER PENA said, “I like to meet and talk with people. It’s actually fun to be a police officer. On Friday nights, I’m on call driving around the district as an effort to show my presence and to build the confidence of our citizens,” said Pena. She is a hands-on manager. THE 10th POLICE district is very diverse and covers the North Lawndale and the Little Village communities. The station was built in 2005 at a cost of $15 million and is located in the 24th Ward. 308 police officers are currently under Pena’s watch. THERE ARE 23 Police Districts in Chicago. In the Bureau of Patrol Division, Pena is one of six female district commanders. Others are in the 3rd District [African-American]; 10th District [Puerto Rican]; 14th District [Mexican American]; 15th District [African-American], 17th District [Caucasian], 20th District [Asian]. RESIDENTS ARE URGED to attend CAPS meetings. To find out more about CAPS call the District phone number: 312/747-7512. WE COMMEND Commander Pena for being a tenacious advocate in trying to solve the gang violence in her district. LITTLE VILLAGE ARCH: Contractors Ronald Baltierra and Dave Ramirez built the Mexican Arch in 1990. The arch is the east entry way into the Little Village Mexican community on 26th St., between Kedzie Ave. and Albany Ave., formerly in the 22nd Ward. CONTRACTOR Ron Baltierra is President of dr/Balti Construction and Dave Ramirez is Vice-President of the company. 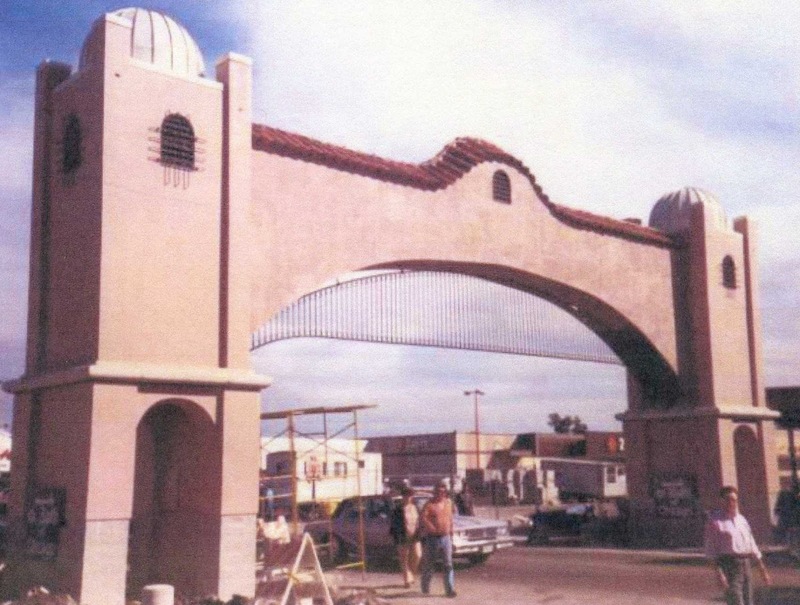 It was dr/Balti Construction who won the contract for the building of the Mexican Arch, as the lowest bidder. Cost to build the arch was approximately $240,000. 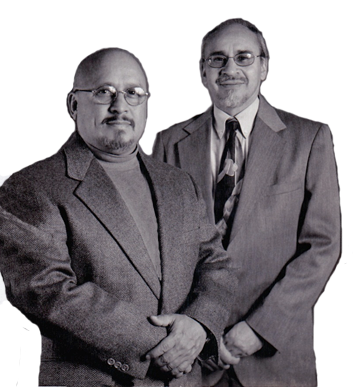 The designer of the arch was Adrian Lozano, who has since passed away. “From start to finish it took us six months to build the arch,” said Baltierra. THE LITTLE VILLAGE CHAMBER of Commerce organized all the businesses on the main strip of 26th Street; and in partnership with the City of Chicago, was the financial backing of Arch project. The city funds came from a Community Grant block dollars and Chamber members. THERE WERE MANY DONERS: Lopez Lumber [out of business] made the donation of paint. El Tornillo Hardware [out of business] installed the clock, imported from Mexico, into the Arch. The clock was a donation from President Carlos Salinas de Gortari, of Mexico. However, because of Mexico’s different electrical system, the clock has never worked. 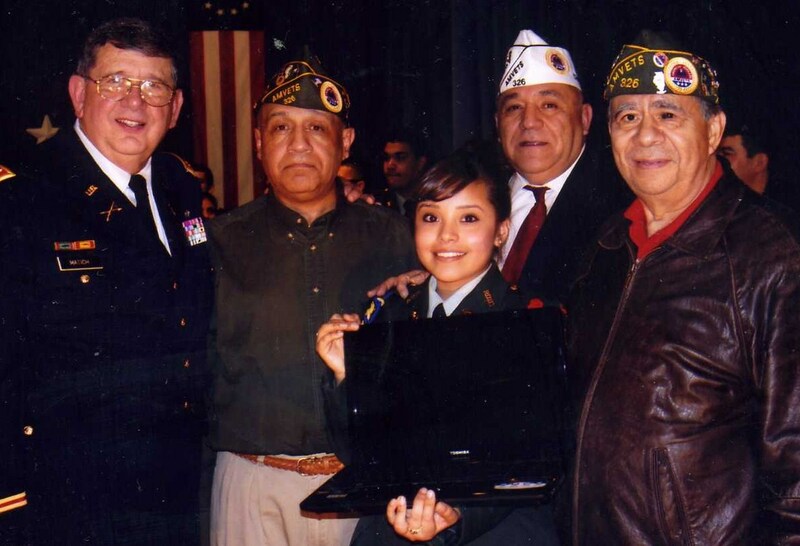 BALTIERRA and Ramirez are military veterans; Baltierra, a Vietnam Sgt. Special Force Infantryman and Ramirez, a Vietnam Specialist E-5 Combat Engineer. Both felt honored to be the contractor of record for the Mexican communities. Mexican Arch surrounded by scaffolding and planks near its final rough stages of completion. THE MOST IMPORTANT aspect in constructing the Arch was building a solid foundation. “Because of our experience in leveling ground we did the physical demolition of the sidewalks, as well as the masonry, carpentry, excavating and preparation for the pouring of the concrete for the foundation,” said Baltierra. The Arch in the raw stage, standing just as beautiful completed. “THE CITY and Chamber still owes [us], dr/Balti Construction Company, $23,000. We asked former Ald. Jesus “Chuy” Garcia [22nd Ward] to help us but said he couldn’t do anything about it. We were told to consider it [our work] as a donation. We initially took a reduced fee by bidding low. We didn’t make anything from the job,” said Baltierra. Designer Lozano also took a loss of $6,400. “The experience was unsettling, however, we’re two proud Mexican-American veterans to have been the contractors for building the Arch,” said Dave Ramirez. Saturday, July 21—Summer Night of Soccer, 7:30 p.m. Toyota Park, Bridgeview, IL. Chicago Fire vs. Aston Villa. Tickets are available for $10 each. Call 708/594-2113. The mega store outlet, Walmart, announced Tuesday it will be building two new Neighborhood Express stores in Chicago. Both in Mexican neighborhoods; one in Little Village, 2551 W. Cermark Rd. [Cermak & Rockwell], and in Back of the Yards neighborhood, 47th St. & Bishop Ave.
PRI VICTORY: News outlets have announced Enrique Pena Nieto as Mexico’s new president. Nieto, 45, President-elect of the United Mexican States is the Revolutionary Institutional Party [PRI] candidate winning the preliminary vote count of 38% of the popular vote. HOWEVER, the official count is still pending. More than 79 million voters went to the polls in Mexico Sunday, July 1, 2012 to elect a new president to serve a six year term. Voters also elected 500 congressional deputies and 128 senators. The PRI party has been out of power for the past 12 years. PENA called his victory “a fiesta of democracy.” “You have given our party a second chance and we will deliver results”, said Pena. Pena is married to Televisa soap opera actress Angélica Rivera. Rivera and Peña Nieto married on November 27, 2010 in Toluca. PENA promises a government who would be democratic, modern, open to criticism, fight organized crime, and will not make pacts with criminals. 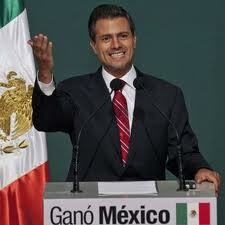 He has served as the governor of the State of Mexico from 2005 to 2011 and held numerous political PRI positions. OTHER CANDIDATES: National Action Party [PAN] candidate Josefina Vasquez Mota, 51; New Alliance candidate Gabriel Quadri de la Torre, 57, both conceded, but Democratic Revolution Party [PRD] candidate Andres Manuel Lopez Obrador, 58, who garnered about 30 percent of the votes is waiting for the final count. At 11 p.m. Sunday night at his party headquarters, Obrador remained confident of victory. 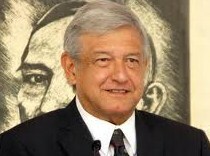 Obrador narrowly lost the presidential race in 2006. SSA #25: The Little Village Special Service Area #25 held its monthly meeting Tuesday, June 19, 2012 at 6 p.m. at the Manuel Perez Jr. Memorial Plaza [26th St. & Kolin Ave.] as a “Commissioners Fiesta” evening. Music, food and refreshments were served to the public after the business meeting. Folkerico dancers/teachers from El Valor entertained the community. SPECIAL guest at the SSA #25 was 10th District Police Commander Maria Pena, El Valor President Vince Allocco, and El Valor’s VP of Children and Youth Services, Clara Lopez. New business was discussed: International Downtown Association 58th Annual Conference & Tradeshow in Minneapolis, Sept. 21-24, 2012; and Green Eagle Technologies presentation on G.E.T. Graffiti Removal Equipment proposal. Old Business: Beyond the Ball to expand on Graffiti Removal Equipment proposal. SIX MEMBERS of the Little Village Community Council attended the SSA meeting. The next meeting is scheduled for Tuesday, July 17, 2012. For more info call 773/521-5387. HAIR CUT & MANICURE DAY: Free haircuts and manicures will be given to the Little Village residents this Saturday, July 7, 2012 at the Little Village Community Council, 3610 W. 26th St. from 10 a.m. to 3 p.m. No appointment necessary. Abe Munoz posed for a photo-op with two beautician students from the America’s Career Institute in Berwyn as they demonstrated their skills in giving haircuts. ACUPUNCTURE: Dr. Yong Gao Wang heads two new locations of the WX Medical Center: 318 W. Adams St., Suite 300, Chicago, IL 60606 and 9917 W. 143rd Street, Orland Park, IL 60462. Phone: 312/899-9999. DR. WANG said: “When other doctors say, ‘No’, we say, ‘Yes’! with acupuncture treatment for medical issues. His medical centers offer free consultations to all of his patients as a “Thank You” for their patronage. Patients must schedule an appointment within the 31 days of July, for either location, to qualify. AN Acupuncture Health Article says: “Acupuncture is one of the main forms of treatment in traditional Chinese medicine which dates back to 282 A.D. It involves the use of sharp, thin needles that are inserted in the body at very specific points. This process is believed to adjust and alter the body's energy into healthier patterns, and is used to treat a wide variety of illnesses and health conditions”. I was a patient of Dr. Wang for treatment with acupuncture when one of my fingers kept locking on me. I was told that I would need an operation on my finger, but after four acupuncture treatments, my “trigger finger” became normal. I’m a believer in using acupuncture for some medical treatments. FELIZ CUMPLEANOS: My friend, Tony Gonzalez, celebrated his birthday last Tuesday, June 26, 2012 with his family and friends at the Nuevo Leon Restaurant, 26th St. & Lawndale Ave. in Little Village. He’s ageless. Sat., July 7th--Free Haircuts & Manicures. Sabado, 7 de Julio. Gratis Cortes de Pelo y manicures from 10 a.m. to 3 p.m. LV Community Council, 3610 W. 26th St. No appointment necessary. Sat., July 14th--Garage Sale "La Garra de La Villita", 8 a.m. to 5 p.m. 26th St. & Central Park Ave. to 25th St. & Central Park Ave. Open to the public. More info call: 312/286-3405. Sunday, July 21st--Summer Night of Soccer, 7:30 p.m. Toyota Park, Bridgeview, IL. Chicago Fire vs. Aston Villa. Tickets are available for $10 each. Call 708/594-2113. Thursday, July 19th--2nd Annual Birthday Golf Outing for State Rep. Elizabeth "Lisa" Hernandez [24th Dist.] Gleneagle Golf Course, 13017 McCarthy Road, Lemont, IL. For info call Lilly Kinney at 708/417-5680. Thursday, July 19th--Evening with State Rep. Edward Acevedo [2nd District], 5:30 p.m. to 7:30 p.m. at Holiday Inn Chicago Mart Plaza, 350 W. Mart Center Drive, 15th Floor, Wolf Point Ballroom. Ticket $250. More info call: Madeleine Mermall 312/961-1027. Sat., July 28th--Tequila & Mezcal Fest, 12:00 p.m. to 7:00 p.m. at Logan Square Auditorium, 2539 N. Kedzie Ave. Entrada Gratis, $10 passaporte para probar tequila y mezcal. For info: 312/276-0631.